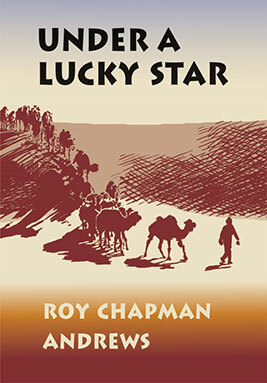 Under a Lucky Star is the autobiography—the lifetime of adventure—of the explorer and archaeologist Roy Chapman Andrews. Adored by the public and pursued by the press, Andrews came as close to superstar status in the 1920s as any explorer of the twentieth century. Much of Under a Lucky Star focuses on his grandest adventure, the Central Asiatic Expeditions, a series of five daring journeys into uncharted expanses of the Gobi Desert that produced a previously unknown treasure-trove of dinosaur remains. The Gobi region explored by Andrews and his team of scientists proved to be one of the most fruitful sites on earth for late dinosaurs and it continues to yield extraordinary paleontological discoveries. Roy Chapman Andrews (1884–1960) became fascinated with the natural world during his childhood along the Rock River in Wisconsin. After attending Beloit College, Andrews traveled to New York and asked for a job at the American Museum of Natural History, where he started as a janitor and eventually became the director of the museum.